Get ready for a heavy dose of comedy with the Awesome Twosome from Furfuri Nagariya! 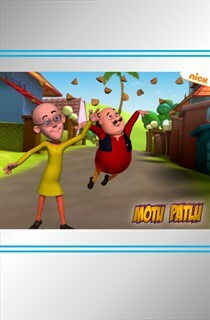 The comical adventures of Motu-Patlu, the two clueless, simple but lovable adventurers are set in a small town in the heartland of India. The two form a rather odd couple as Motu is a food addict and Patlu considers himself as the ‘Bright chap’ of the team, but when they come together, they sure bring laughter riots along.